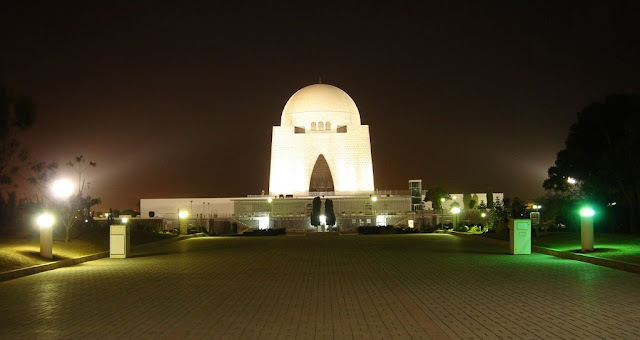 In this post, I'm listing down 'Top 7 Things To Do in Karachi' if you are visiting NOW or you live in Karachi and haven't done these yet! Houses tells us a lot about history and our culture. 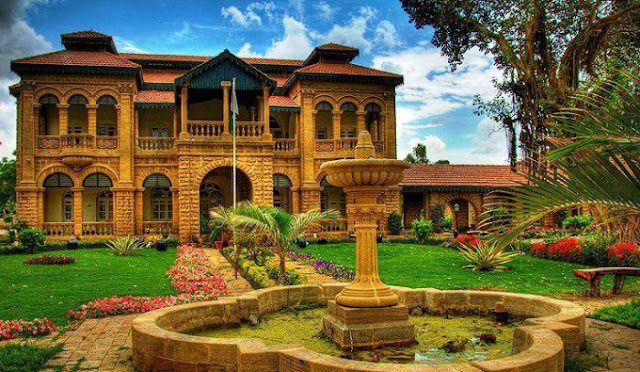 Quaid-e-Azam Mohammad Ali Jinnah's house is situated in the heart of the city and is absolutely gorgeous. One should definitely pay the visit to that house to remember him as well as to know the kind of lifestyle he lived. It's exciting to know the lifestyle of that era. If you are into history & museums, this extremely breathtaking house turned museum shouldn't be missed. 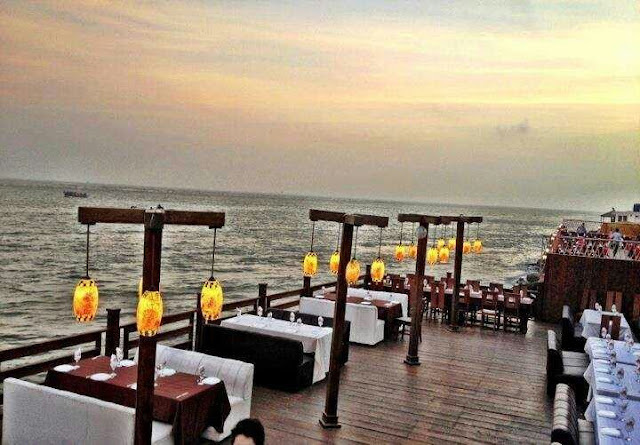 Foodies, or non-foodies, Do Darya is the place to enjoy the beautiful sunset or dinner. The restaurants built by the side and some decks over the shore not just makes you enjoy the food, but the ambiance as well. If you love sunsets, be there in the evening and enjoy with the cup of tea. Where as at night, you have the option to enjoy the desi food along with the cool sea breeze & serene sounds of the waves/sea. It may not be very clean or luxurious place, but the rustic boats add the vibe to the entire experience. 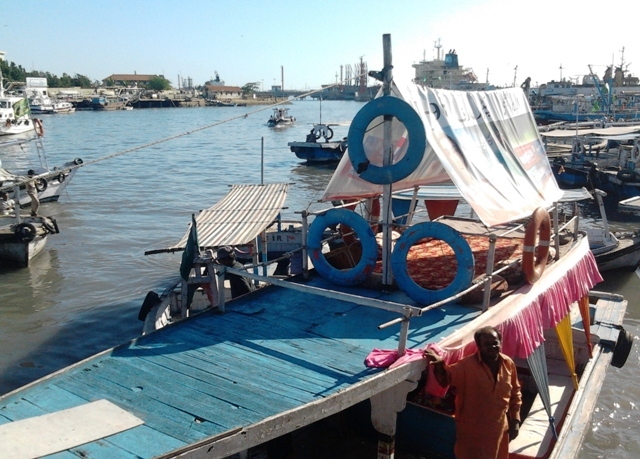 Riding in luxury boats can be done in different countries along with in Karachi as well (there is an option for that too), but, the joy you get in these local boats is double the fun you get in the luxury ones. Riding in the sea, stopping in the middle to fish (though it's not easy to fish), sometimes stopping by the mini islands & climbing that adds to the experience and later enjoying the freshly picked and made fishes and crabs in the boat. You can choose the boat anytime of the day, while in the day you can enjoy the surroundings, water, fishing & island trip, night is usually for those who like calm sea, moon sighting and the lights. Travelers, or no travelers, everyone has a corner for shopping. Admit it!! 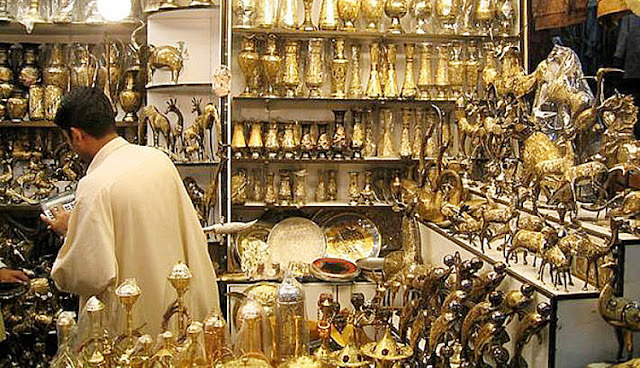 Zainab Market may not be the cleanest shopping market, it may not be easy to find a parking spot or let alone reach the market without being stuck in the crazy traffic of this city, but it's all worth it when you reach. You find the best antique pieces, the best place to find souvenirs, home decors, traditional shoes, traditional clothing/material and what not. That's one place everyone in my family when visit from any place in the world visits & shop! 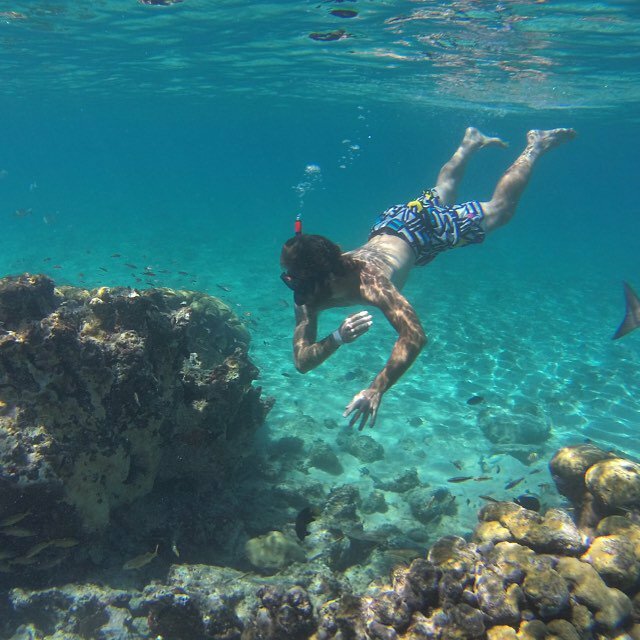 Not just snorkeling now, there are a lot of fun activities Karachi has to offer you, if you are daring enough. Snorkeling is one of them. An hour and a half bus ride to Mubarak village, which is a beautiful sea shore with crystal clear water. From there riding in a small boat & shifting to a bigger boat in the middle of the sea - this where all the fun begins. Almost 45 mins boat ride to Charna Island and if you are lucky, you get to see dolphins too if it's the season. Diving in the crystal clear water at charna island & experiencing life under water is an experience one shouldn't miss. If you haven't done a few things mentioned above, Super Savaari Express will take care of it. It's a tour bus, in a mini-bus which is not just a normal bus but the "mini-bus" with truck art and all decorated like a transport mini-bus, which you see all around Karachi but didn't get a chance to travel in yet. This tour bus defines Karachi. 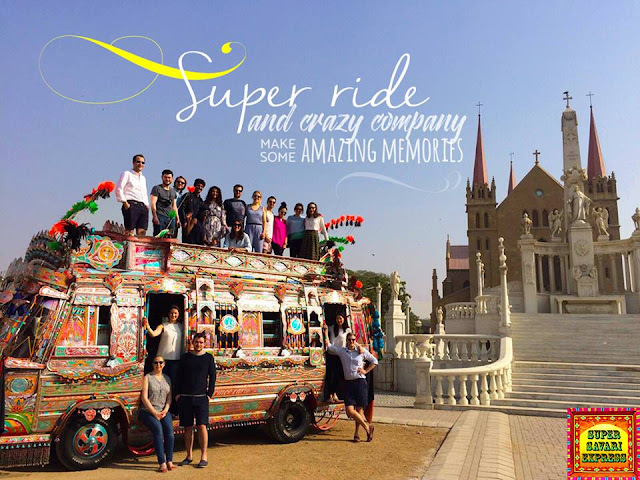 It is a full day tour in the bus that takes you to the famous spots including old Karachi. One thing you shouldn't miss! Comedy Masala was launched in Karachi in February 2017. It was one of the best thing to bring to this city, and was a hit. 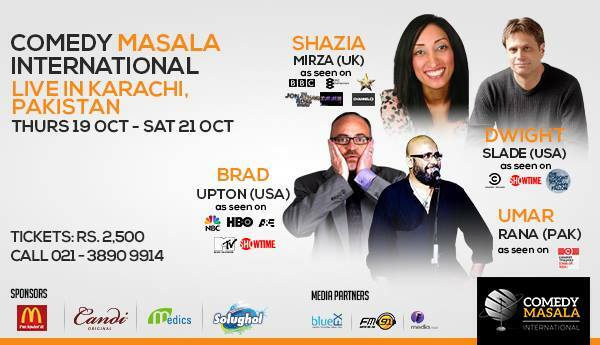 With sold-out shows in April, July & Sept, Comedy Masala International is now back in this city for three days, 19th-21st October with another diverse line up of international comedians who will perform live in Pakistan for the first time! It will be the fifth edition this time, after successful shows since February, with MORE live international stand-up comedy! Comedy Masala will put on 5 shows over 3 nights. It's something neither a Karachite should miss, nor those visiting Karachi. Out of all the things mentioned above, what have you done to tick it off from things to do in Karachi? What are top 7 things you would like to do or have done?